1 What’s causing your dry skin problem? What’s causing your dry skin problem? There are lots of good reasons to do something about your dry, itchy skin your looks, your health, and your sanity. So it’s time to put down the back scratcher and figure out what’s really causing your dry skin problem. For many, dry skin is not a sign of a skin condition or disease, but is simply caused by harsh soaps, itchy clothing, misusing moisturiser, and long, hot showers. 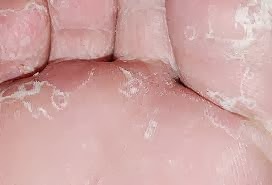 But the medications you take and even medical conditions such as diabetes, psoriasis, hypothyroidism, and malnutrition can also cause severe dry skin. Read on to understand how and why these problems dry out your skin. 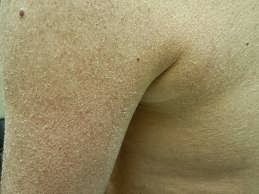 What causes dry skin or xerosis, as it’s known medically? Usually, something in the environment or something you’re doing to your skin is stripping away these fatty oils, leaving your skin unprotected. Less often, the cause is internal; a health condition, menopause or genetic predisposition is making your skin dry out. While patches of dry, itchy skin can appear anywhere, it’s most common on the arms, hands, lower legs and abdomen. Dry skin is often felt more than it’s seen, but on some people it can be noticeable and embarrassing. For many black people, dry skin is a special concern, since the flakes of skin can look grey. If untreated, dry skin can sometimes lead to dermatitis inflammation of the skin swelling, and infection. The good news is that just as most causes of dry skin are external, most cures for dry skin are external. With careful dry skin care, you can usually solve the problem. If you’ve been contending with dry skin, you’ve probably already tried a moisturiser if not dozens. But while moisturisers are a crucial part of dry skin care, experts say that we don’t always use them very well. One mistake some people make is applying moisturiser on dry skin, when it’s least likely to help. Put on moisturiser when your skin is still damp. That way, the moisturiser is trapping the moisture still on your skin. Your skin shouldn’t be sopping wet just pat yourself dry with a towel and put it on. Let it soak in for a few minutes, and then towel off the excess. You’ve also got to get the right type of moisturiser. Experts recommend that people with dry skin get mild moisturisers that contain no perfumes or alcohols. Often a simple budget moisturiser can do a good job. The moisturiser must also be thick and greasy in order to seal in the moisture needed for good dry skin care. One simple moisturiser test is to put some of your lotion in the palm of your hand and flip your hand over. If it runs or drips, it’s not thick enough for dry skin. Dry air is probably the most common cause of dry skin, especially during the winter. It draws the moisture right out of the skin. Dry skin during winter even gets its own name: winter itch. While cold, harsh weather does dry your skin, another big problem in the winter lies indoors – the dry heat churned out by your central heating. During the summer, air conditioning can have a similar effect. To counteract the dry heat, start with a moisturiser. Turning down the heating a bit in the winter can also help. Other dry skin care tips include using a humidifier in your bedroom, and bundling up with hats, scarves and gloves, when you’re outside. Prolonged exposure to water especially hot water can wash away the natural oils that protect your skin. If you get out of the bath or shower and your skin feels tight, it’s dried out. So what should you do? First, choose showers over baths. But that’s not all. If you’re accustomed to waking up in the morning with a long, languid shower, dermatologists have some brutal advice: limit showers to a few minutes and skip the hot water. The water doesn’t have to be cold, but it should be lukewarm rather than hot. Try angling the shower head away from you while you shave or soap up. It’s another way of reducing the time your skin is being pounded by the water. Afterwards, pat your body dry with a towel – rather than vigorously rubbing it and put on a moisturiser right away. Soap can quickly strip away your skin’s protective oils, and we tend to use way too much of it. Often, the only parts of the body that need any soap or cleanser at all are the face, hands, feet, groin and underarms. The rest of the body can usually just be rinsed off with water. While our doctors – and our mothers – always told us to wash our hands frequently, that can also lead to trouble. Ironically, while done in the quest to rid ourselves of germs, excessive hand washing can dry out the skin and cause it to crack and bleed, making skin infection much more likely. Many of us choose unwisely when we’re in the soap aisle of the supermarket. We go for harsh soaps, such as deodorant or antibacterial soaps, that generate lots of lather and leave us feeling squeaky clean. Lathering from soap removes the oils from the surface of the skin and dries it out. For dry skin care, look for milder, “fragrance-free” soaps. That’s not the same as “unscented,” which may still have perfumes. For many people with dry skin, the best choice is a mild skin cleanser rather than soap, experts say. Whatever you do, don’t use any harsh implements to wash yourself. Flannels, abrasive sponges or brushes can strip away that thin layer of natural oils that keep our skin moist and healthy. Using aqueous cream as soap is often recommended too. No matter how much you might love the look of a sweater, it’s not worth it if it’s uncomfortable. 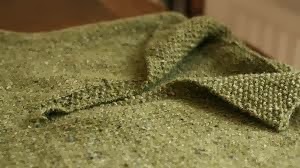 If a sweater is itchy when you try it on, it’s unlikely to ever be any less itchy. In fact, it might get more itchy. Dry skin is especially sensitive to contact irritants, so continually exposing your skin to uncomfortable clothing could make your skin drier and itchier. Using non-biological washing powder may also help some people. Go with clothes that feel comfortable the first time you put them on. Instead of wool, try cashmere if you can afford it. Make sure your clothing isn’t too tight either, since chafing can also cause and irritate dry skin. And remember, if your skin feels irritated, use detergents without perfumes or dyes. If you notice the onset of a dry skin problem after starting a medication, talk to your doctor. They may be able to help by changing the dose or switching the medication. Usually, dry skin is caused by external factors. But sometimes, it can be a sign of a something going on internally, whether it’s a natural physiological change or an illness. For instance, dry skin often develops when people get older, especially in women. Changes in hormone levels can cause dry skin as we age. Skin conditions, like eczema and psoriasis. While they usually need direct treatment, careful use of moisturisers often helps. Diabetes. Poorly controlled blood glucose levels can lead to dehydration, and that dries the skin out. Given that diabetes can also slow healing and increase the risk of infections, it’s especially important for people with this condition to keep their skin healthy. Hypothyroidism. Low levels of thyroid hormone can reduce the amount of oil produced by your skin. As a result, skin becomes dry and rough. Hypothyroidism is usually accompanied by other symptoms, like fatigue and weight gain. Malnutrition. Not getting the nutrients you need can leave your skin dried out. One possible cause is an eating disorder. Other diseases, both minor and serious, can also cause dry skin problems. The best way to treat these cases of dry skin depends on the underlying illness. Sometimes, getting medication for the underlying condition directly will resolve the dry skin. But in other cases, you might still need to follow some of the basic dry skin care tips outlined above. Ask your doctor for advice. While dry skin can be a sign of these more serious health conditions, it’s usually nothing more than run-of-the-mill dry skin regardless of how horrible it feels. So if your dry skin problem is making you miserable, it’s time to seek medical advice. Your doctor can help you identify the causes and get you the treatment you need. Doctors can recommend medicine if you need it, which could include antihistamines for itchiness or prescription creams, including steroids. many of the subjects you write regarding here. papers when in this technological globe everything is existing on net?